I am visiting for 9 days in February, and I am flying in and out of Rome. Because I am also leaving from Rome, I am not sure if this limited time provides an opportunity to travel outside of Rome, as I am doubling the travel time o the return trip. I suppose I could “train” to Florence or Siena for a day and back, but not too much more. Hi Tim, thanks for stopping by. 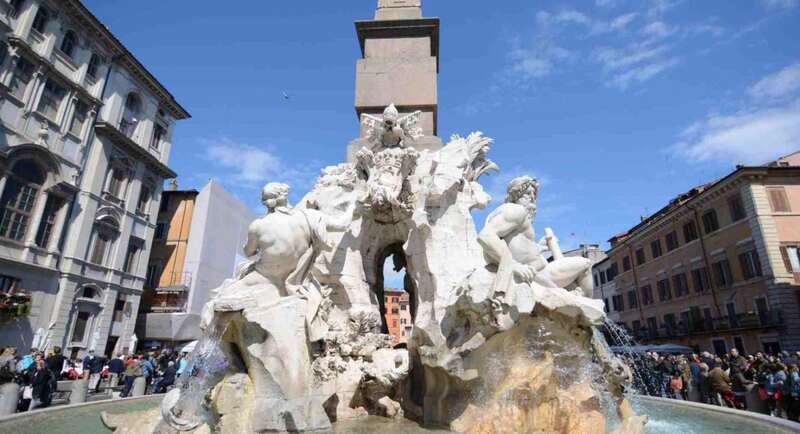 The amount of sights you can fill into your 9 days depend more on your travel style than on transportation, since main touristic spots are easily reachable by high speed trains: 1,5 hours to Florence, roughly 3,5 to Venice, 1 to Naples. That said, if you count to come back to Italy (and thus don’t need / want to see everythink in one shot), you may want to indulge in Rome and in Florence + Tuscany, visiting Siena-San Gimignano, Pienza, Lucca as day trips from Florence). In February you could expect sunny but fairly cold days. Hope this helps. Enjoy your trip to Italy! Hi, I am visiting Italy for 9 days too, in June-July, and I am flying in and out of Rome, too.. 🙂 My expectations are little bit different – 3 days in Rome and then enjoy sun, beach, boat trips, relax… I love quit places, minimum tourits, travelling on budget and great food!!! 🙂 We are considering Ponza Island, what do you think? Hi Veronika, Ponza is one of my favorite places, so I’m fully supportive! Unfortunately Chiaia di Luna beach is officially off limits because of land slides (but you can admire it from the above). You should definitely rent a small boat and spend a day in Palmarola coves, and maybe one additional day in Ventotene. You will need to take a train to Formia or Anzio, and from there a boat / hydrofoil to the island. Try to go in June and absolutely avoid week ends!